One of the most common things that puts adults off getting braces is the noticeable metal wires and brackets stuck to the teeth. However, thanks to recent advancements in dental technology, the 6 month smiles treatment has transformed the way braces work and look. In just 6 months, you can complete a course of effective orthodontic treatment, giving you the attractive smile that you’ve always wanted. These braces are carefully coloured to blend in with your teeth, making them far less noticeable to observers. While the treatment time of regular metal braces can be sped up by tightening the wire, this can make the wearer feel uncomfortable. The 6 month smiles braces use a low force but highly focused system to give the same effect without the discomfort. Do they really only take 6 months? Yes. One of the many advantages of 6 months smiles braces is that they reorder your teeth in a much faster and efficient way than the old metal braces. This is due to advancement in dental techniques and technology, rather than the normal wire over-tightening that was once popular. From a distance, they are practically unnoticeable and even from up close they’re difficult to notice without being pointed out. The wire is coloured to blend in with your teeth, and the brackets are completely clear, so while not completely invisible, they are much more cosmetically pleasing than regular metal braces. 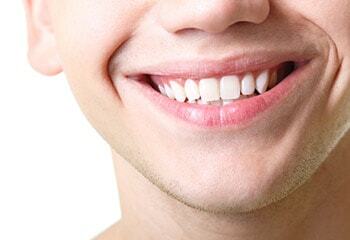 After orthodontic treatment, teeth can return to their natural position. Retention is required to stabilise a fixed outcome. A bonded wire retainer will hold your teeth in place permanently. A wire is bonded to the back of the front lower or upper teeth and a bonding material is cured with a bright light. After a fixed appliance has correctly positioned the teeth a custom made retainer is produced. This will keep the teeth in the desired position. Suffering with a crooked smile? ORTHODONTICS CAN RESTORE YOUR SMILE AND YOUR CONFIDENCE.